The trial of a former member of Japan's Aum Shinrikyo cult has begun, nearly 20 years after the group carried out a deadly sarin gas attack in Tokyo. The man later died after being given an injection at Aum's main commune at the foot of Mount Fuji. "It took a long time for this day to come, and I apologise for causing great trouble to the victim, his family and society," Mr Hirata was quoted as saying by Kyodo. If convicted, Mr Hirata could face the death penalty, says the BBC's Rupert Wingfield-Hayes in Tokyo. 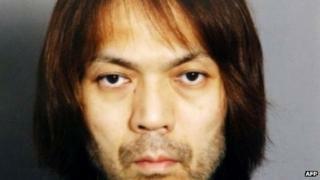 Some of the cult members sentenced to death will be appearing as witnesses at Mr Hirata's trial, reports say.